"Register now to discover the core concepts in supply chain strategy, design, compliance, implementation and operations. It will be a great learning experience and opportunity for you to develop your knowledge, skills and attitude for the improvement in various areas of supply chain as well as innovation management. You will learn how to streamline processes and improve efficiency of your organization thereby enhancing your value in the eyes of employers and to take your career one step ahead. Get register in CSCA Program & get 5% more discount on the fee. 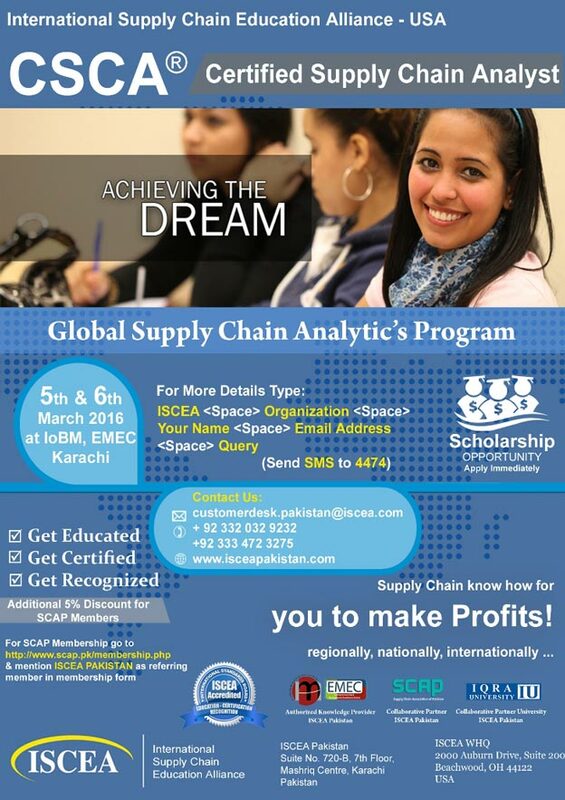 "CSCA | Certified Supply Chain Analyst Program on March 5th & 6th, 2016 at IoBM, EMEC Karachi"
Advance your career with internationally accredited Supply Chain Certification. 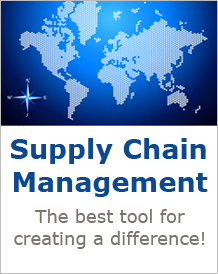 Be a part of this extensive training program and become a "Certified Supply Chain Analyst.". Partial fee Scholarship Opportunity available especially for Young Supply Chain Professionals of Pakistan".